Africa Outreach Ministries: Building a Holy Worshiping Family. Zimbabwe: Zimbabwe has 2 bronches. Main branch is in Tjewondo and the other is in Balagwe. 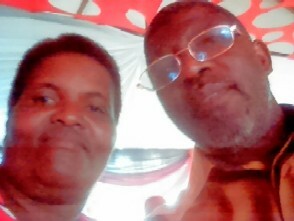 The Balagwe bracnh reports to Tjewondo whose senior Pastor is Pastor Claymon Ncube and Pastor Nyathi is serving under him and he reports to the head office in in ZImbabwe under Pastor Claymon. Main Head Office in South Africa gets reports for head office in Zimbabwe. These 2 churches are in deep rural where there's no water or electricity. Thats the reason we looking for boreholes and solar system in order to upgrade the life standard and set up some projects as there's great need for the Pastors support there. This will help us erect food gardens and grow chickens as the means of fundraising for the ministry. We beblieve in financial stableness for the ministry to function well.